Obviously the Internet was created solely for cat lovers; nowhere else can one find such a plethora of cat videos, memes, gifs and photos. But there has to be a way to cut through the kitty chatter to the best cats. So here is my list of the top five. At number four is Grumpy Cat. I love his face so much, SO grumpy, so apparently unimpressed by everyone and everything around him. 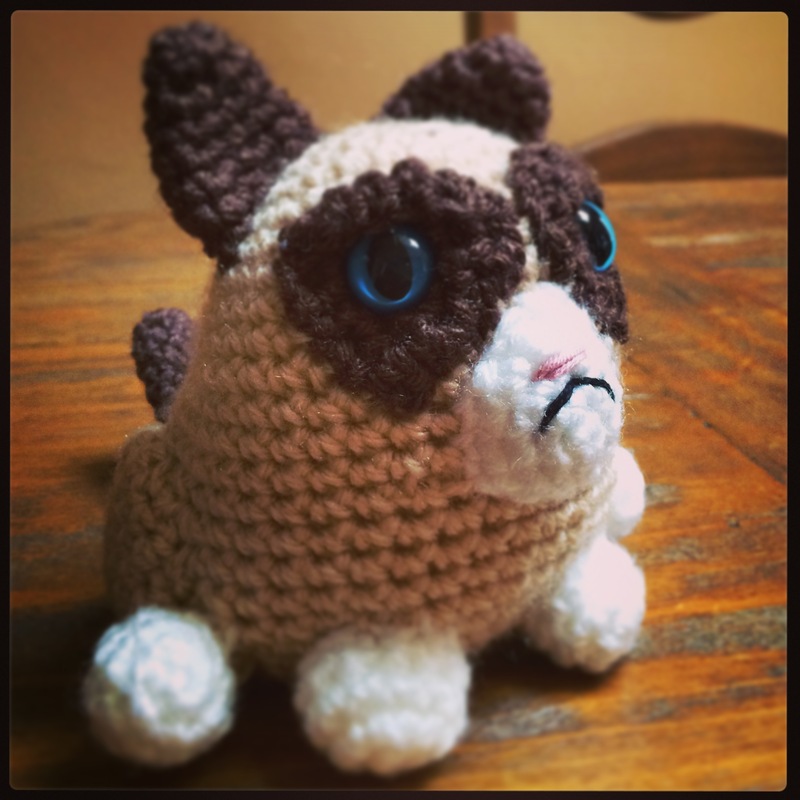 My love for Grumpy Cat is well know, my mother crocheted me by very own Grumpy Cat and one of my friends gave me the The Grumpy Guide to Life book for Christmas. For more grumpy cat goodness, check out his website. So he has some Internet presence. Plus he takes up most of my Instagram feed (he is VERY photogenic) and a third of my Facebook feed. Apologies to all the cute moggies out there that I have missed. If this post hasn’t satisfied your appetite for cats on the Internet, may I suggest Buzzfeed‘s weekly ‘This Week in Cats’ newsletter?! Very worthy cats, one and all, but I love Simon’s cat too.